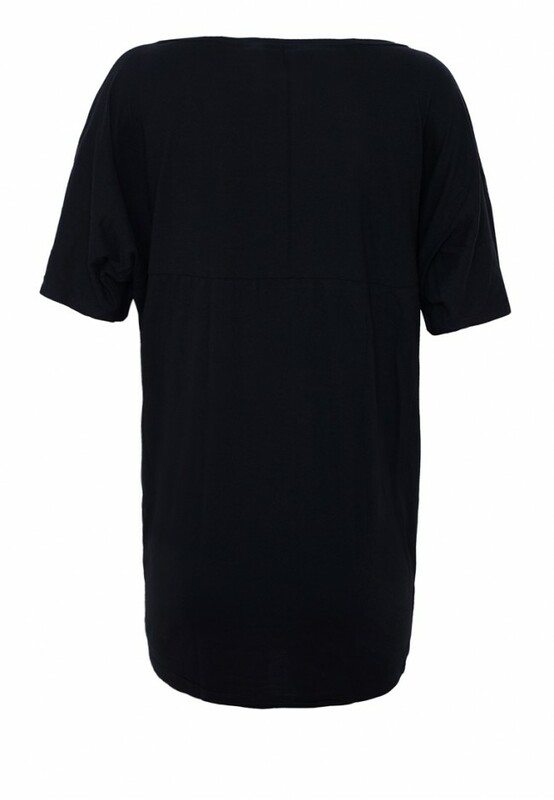 Figure caressing, precious tunic with a deep neckline and short batwing sleeves. Due to the very loose fitting, this multi-size shirt is availbe in S/M and L/XL. 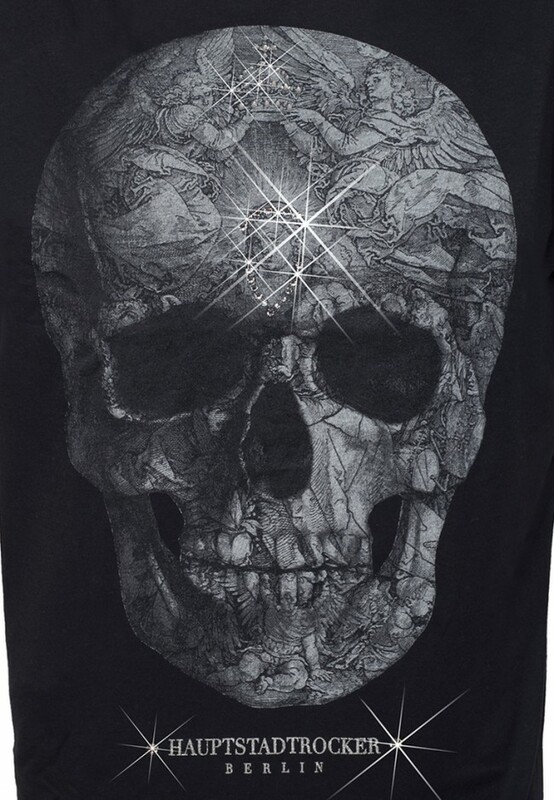 The huge death's head motive on the frontside is screen-printed by elaborative handwork. 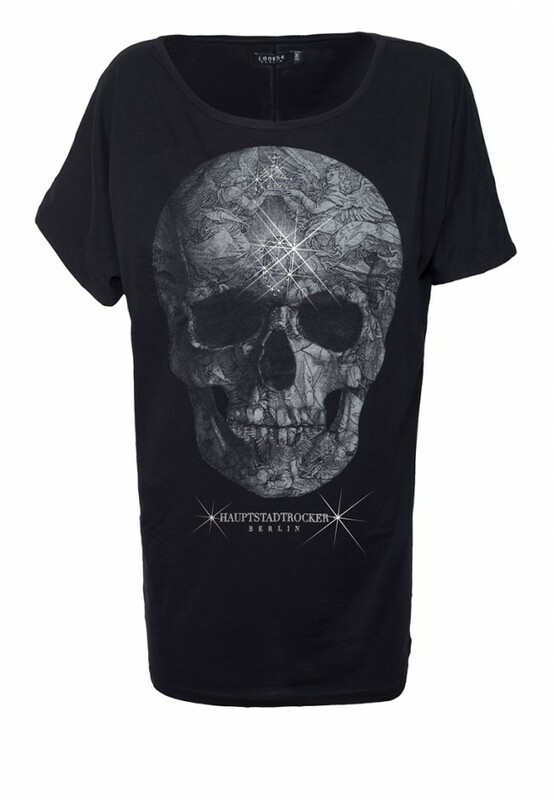 Parts of the skull and the HAUPTSTADTROCKER slogan are perfectly refined with shiny crystals from Swarovski®.